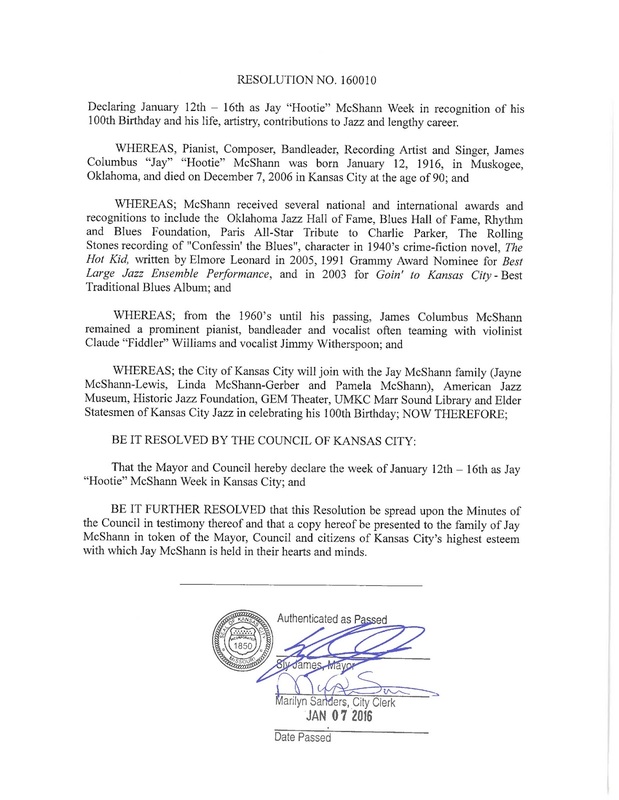 The personality of The Kansas City Jazz Orchestra (KCJO) has evolved under each of its three artistic directors. Listen to its first CD from a decade ago without anyone telling you who it is, and you could be excused if you guessed this was some of the best of the 1980s-vintage Basie band. Under artistic director and co-founder Jim Mair, the breezy swing, with classy brass and sterling solos barreling over hard-driving rhythm, showed us what the music born in Kansas City had grown up to be. And, heck, I’ll take Lisa Henry’s vocals on that CD over the Basie band’s Carmen Bradford any day. Kerry Strayer’s time leading the band was, tragically, far too brief. While under Jim the orchestra would venture beyond classic swing, with Kerry it stretched a bit further while never ignoring its roots. 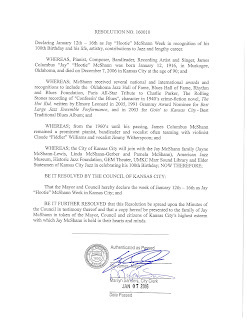 I briefly served as KCJO’s business manager when Kerry took over. His plans to perform Bobby Watson’s Gates BBQ Suite in concert concerned some of the orchestra’s board members. That, they felt (without ever actually hearing the suite, but that’s another story), was not the kind of big band music this orchestra performed. Kerry and I reassured them it would be an amazing show. Of course, it was. 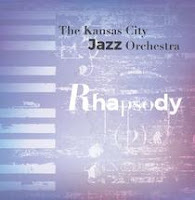 The Kansas City Jazz Orchestra’s new CD, Rhapsody, under the direction of artistic director Clint Ashlock, captures an orchestra continuing to grow. Here’s a band of extraordinary talent, many of whom have played together now for a dozen years, emphasizing fresh arrangements performed with crisp precision and a modern elegance. A somber yet playful Prelude #2 (Blue Lullabye) opens Rhapsody. You hear an exact performance in this music. This isn’t the devil-may-care whimsy of KCJO’s first Basie-induced CD. This isn’t what the Orchestra would have recorded a decade ago. Next is the album’s centerpiece, Clint Ashlock’s arrangement of Rhapsody in Blue. Joe Cartwright takes over the keyboards, and his piano is our guide through this 27-minute Gershwin classic. There’s an exactly-played joyousness to the ensemble sections, which contrasts with the glib looseness of Clint’s trumpet and David Chael’s alto solos. Then contrast that further with the wicked sultriness of Brad Gregory’s tenor turn. This composition is a journey of wonderful twists performed with refined, never trite, vigor by Kansas City jazz masters. The CD is filled out with fresh arrangements of big band standards. David Aaberg’s voicing on Swinging on a Star and Brad Gregory’s take on Emily – featuring Jeff Hamer’s loose and light trombone – return the orchestra to its beginnings. We have a selection from each of the band’s two most-often heard vocalists, Kathleen Holeman on Embraceable You and Ron Guiterrez on Alfie. Two of Clint’s arrangements close the CD: Every Time We Say Goodbye, starring Mark Cohick on baritone sax, and the controlled raucousness of I Got Rhythm. This band takes a category that was new more than eighty years ago – big band jazz – and performs it so a listener in 2015 is intrigued. They grow the music with refinement. You hear it in their Kauffman Center performances – which now regularly draw over 1000 fans to each show – and it’s documented here. That’s how a jazz orchestra approaching its teen years can thrive. Rhapsody is available on The Kansas City Jazz Orchestra website, here.